2014. Gaza. Palestine. 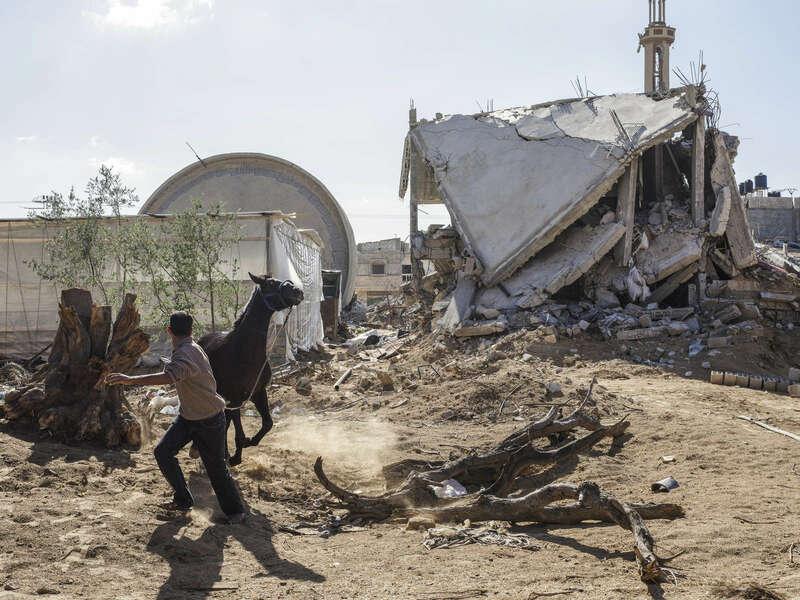 A runaway horse by a destroyed mosque in southern Gaza. Operation Protective Edge lasted from 8 July 2014 – 26 August 2014, killing 2,189 Palestinians of which 1,486 are believed to be civilians. 66 Israeli soldiers and 6 civilians were killed. It's estimated that 4,564 rockets were fired at Israel by Palestinian militants.